I haven't seen any Red-winged Blackbirds in quite awhile. 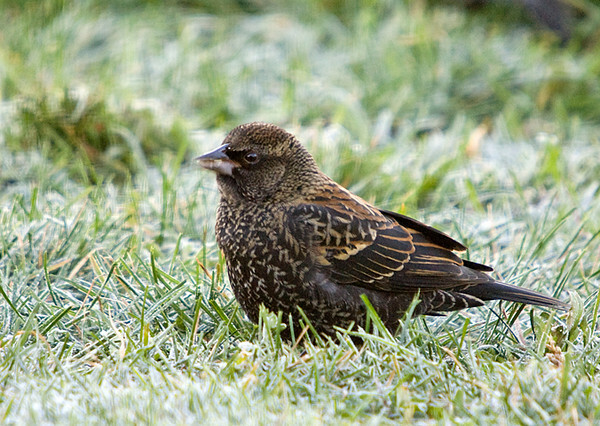 This female showed up early in the morning to ground feed in the frosty grass. I think she must be a first year female, since she doesn't have the coloring around the throat and eyes that the adult females have. Most of the Red-winged Blackbirds headed south over a month ago.